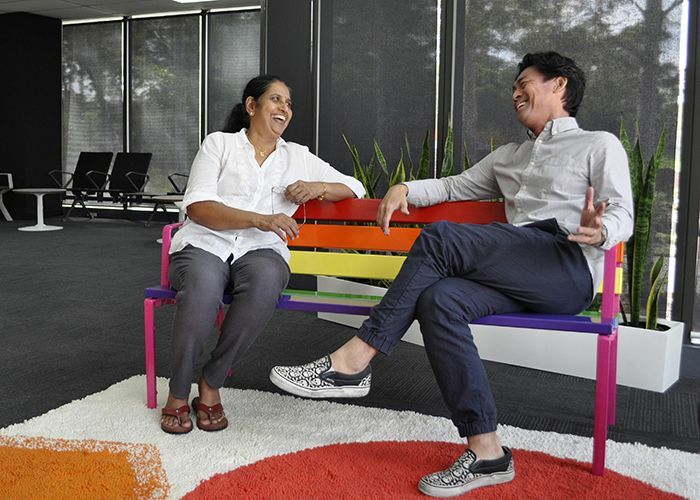 Street Furniture Australia will donate five special edition rainbow Pride Seats to the Inner West Council, one for each ward, to celebrate the legalisation of marriage equality. The motion was brought to Council and championed by Councillor Pauline Lockie, with approval received at a meeting last night. “Many of our staff and our clients, particularly from the design community, are passionate about marriage equality and LGBTIQ rights, so we wanted to do our part in celebrating and recognising the recent legalisation,” says June Boxsell, Marketing Manager. “Our factory came up with a Pride Seat, made from standard parts and different powder coat colours. It looked so fantastic, we wanted to share it. Each seat will be dedicated to a different person, people, group or organisation from the inner west who has campaigned for or contributed to LGBTIQ rights, commemorated by a sign or plaque. 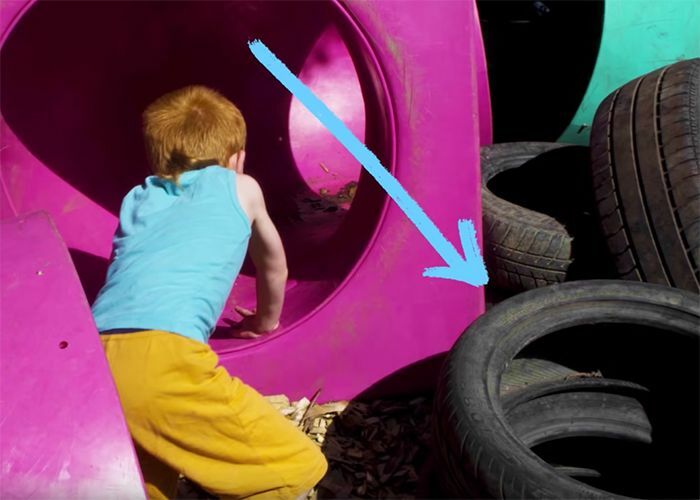 Councillor Lockie, independent Councillor for the Stanmore ward, last night told the meeting she was “delighted” to be contacted by Street Furniture Australia, asking if Council would be interested in the rainbow-coloured seats. “The inner west has long been part of the ‘rainbow ribbon’ that curves around Sydney’s CBD, or the suburbs that are home to the highest number of LGBTIQ residents in Australia,” she said during her speech. The local LGBTIQ community will help choose the dedications through Council’s LGBTIQ Working Group, and the Your Say Inner West Engagement Portal. Community consultation will also help to decide the position of each seat. “I think it would be really lovely to open up those nominations to our public, because we all know that for everyone who is at the forefront of a campaign and is publicly recognised, there are many quiet people behind the scenes making all that work possible,” Cr Lockie told the meeting. 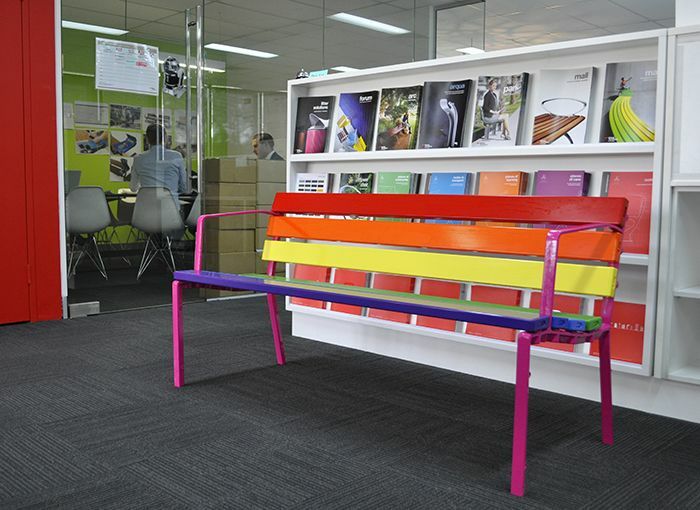 The five rainbow seats feature multicoloured battens, individually powder-coated inhouse by Street Furniture Australia, with extra UV protection for fade resistance. The seats are low maintenance, made from finished metal. 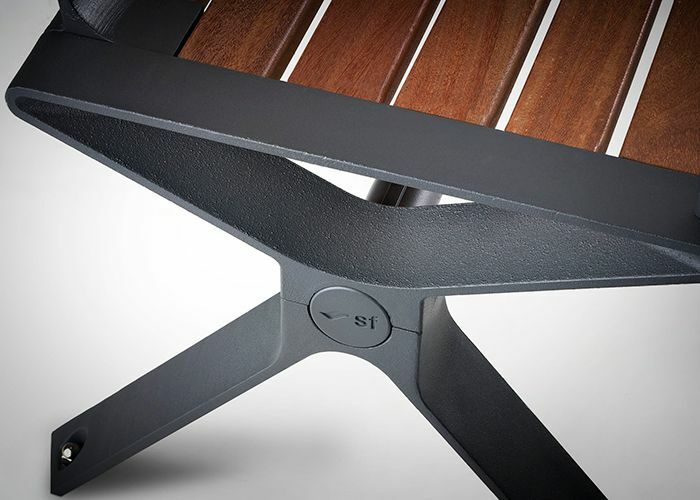 Designed and made in Street Furniture Australia’s factory in Regents Park, Western Sydney, the seats are built specially to provide lasting enjoyment in the outdoors. 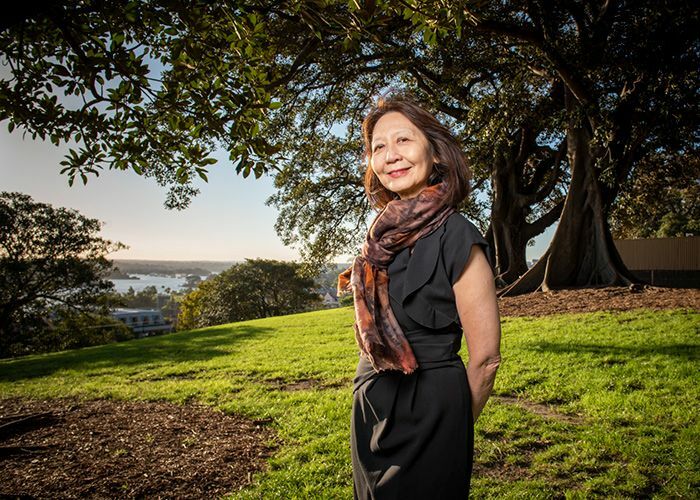 Oi Choong, winner of the 2018 Marion Mahony Griffin Prize for a distinctive body of work by a female architect, looks back on a career that spans the rise of landscape architecture as a profession, and women in the workplace.